Aspen Group is a provider of insurance and reinsurance to clients around the world, operating through wholly-owned subsidiaries and offices in Australia, Bermuda, Canada, Ireland, Singapore, Switzerland, the United Arab Emirates, the United Kingdom, and the United States. Aspen Insurance consists of many lines of business backed by industry experts across a broad range of industries, and operates on a global and regional product basis, which allows the company to align its product and distribution capabilities. Aspen Insurance also has branches in Dublin, Singapore, and Canada. Aspen’s global products include accident and health, credit and political risks, crisis management, cyber, energy and construction, environmental, excess casualty, marine, professional lines, railroads, and surety. Meanwhile, its regional product offerings include UK property and casualty, US primary casualty, and US property. Aspen Insurance Holdings was formed in 2002, and its UK subsidiary, Wellington Re, also launched in the London market that year. Its subsidiary in Bermuda was established shortly after the company increased its capital to $850 million. In 2003, Aspen Specialty was launched in Boston to expand into the US excess and surplus lines business, and write a book focused on the property and casualty surplus lines business. Aspen’s first full-year results as a public company, with shares listed on the New York Stock Exchange, revealed $1.3 billion in gross written premiums for the 12 months ending December 31, 2003. The company later diversified its portfolio by jumping into the aviation insurance business, and then forming teams dedicated to international property in both Paris and London. Expansions into Singapore, new lines in the US, and reinsurance in the Middle East and Africa, among others, followed and before long, Aspen was celebrating its 15th anniversary in 2017, with the next major chapter in its history right around the corner. In February 2019, affiliates of certain investment funds managed by affiliates of global alternative investment manager Apollo Global Management and Aspen Insurance Holdings Limited announced that the Apollo Funds had completed its acquisition of Aspen. According to a press release, the Apollo Funds acquired all of the outstanding ordinary shares of Aspen for $42.75 per share in cash, representing an equity value of approximately $2.6 billion, with Aspen now being wholly-owned by the investment manager. 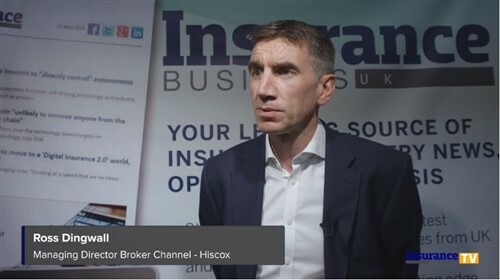 Chris O’Kane, Aspen Insurance’s CEO who announced he would step down when the acquisition was completed, reflected on Aspen’s journey in the release. One specialty in which Aspen has expertise is the railroad business, specifically concentrating on Class II and Class III railroads, otherwise known as the regional and shortline railroads that act as the feeder lines into the largest Class I railroads. However, its global head of railroad noted that the transportation systems across the board face a few common risks, such as the commodity mix. As with many other sectors, cyber risk is also creeping up to the top of railroads’ list of concerns, especially considering the potential fallout from an attack. “If there was a cyberattack in a railroad’s dispatching process, for instance, it could cause a derailment, it could cause a delay in shipping times, and it could also create lost commodities. So much of that is tracked by technology and if something was to happen to the system, it could create many problems,” explained Adamczyk. The mergers and acquisitions in the railroad space likewise have impacts on insurance, specifically in that there are fewer risks for companies to cover.